As 4IR becomes a reality, telecommunications is coming to the fore as a chief economic growth enabler for South Africa. The impact goes beyond the economic opportunities that the sector can create for citizens. We are moving into a future that will be enabled by telecommunications, and more specifically, internet connectivity. 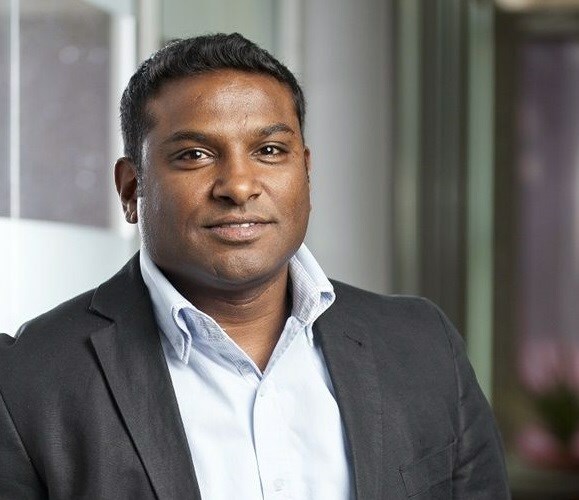 Vino Govender, Executive Strategy, Mergers, Acquisition and Innovation at DFA. The government has acknowledged that it has a responsibility towards the country’s citizens to ensure digital inclusivity for all. This is the basis for SA Connect – the country’s national broadband policy – which highlights the need for an “enabling platform for economic enterprise, active citizenship, and social engagement innovation” that a telecommunications - supported digital ecosystem will make possible. Like most governments, South Africa is participating vigorously in conversations around 5G, IoT, M2M, and other new, connectivity-enabled technologies that are impacting our societies. More specifically, they are looking at the role government can play in making it as widely available as possible. In a country like South Africa, with widely divergent standards of living, this also means looking at ways to level the playing field as far as the cost of access is concerned. One of the biggest benefits that open-access infrastructure offers is a reduction in infrastructure duplication, which lowers costs across the board for the industry as well as creates efficiencies. It enables a telecoms ecosystem where participants are able to concentrate on their core roles and avoid unnecessary overlaps. With a drive to make high-speed connectivity accessible to all sectors of the population, infrastructure sharing like this makes it more feasible to deploy fibre in lower income areas and those outside of metros. By using the available expertise and network infrastructure and capabilities that have already been built up by their private sector partners will, governments will go a long way in meeting the growing connectivity needs of their populations. The concept of open-access networks was first introduced in South Africa when DFA was awarded a contract to develop a network that would be leased to one of the country’s biggest telecoms operators. This soon established a successful model which launched a number of SMMEs, including Internet services providers who could now take advantage of the scalability that infrastructure at scale offered. DFA’s customers could grow their own customer base on the reliability and quality of DFA’s network. Mobile operators were able to offer faster speeds and focus on their core offering on the back of the leased infrastructure. To date, DFA has invested billions in the roll-out of more than 13,000 km of fibre across the country, servicing enterprises and citizens alike. As the drive to lay a proper foundation for a 4IR future continues, so the private sector will have a significant role to play in ensuring the continued roll-out of fibre. Clearly, DFA – along with many others – will have a key role to play in ensuring that, as the data surge brought on by IoT and M2M communications grows to massive proportions, the country's connectivity requirements are thoroughly supported by a robust and extensive fibre network backbone. Vino Govender is Executive: Strategy, Mergers & Acquisition and Innovation at DFA.